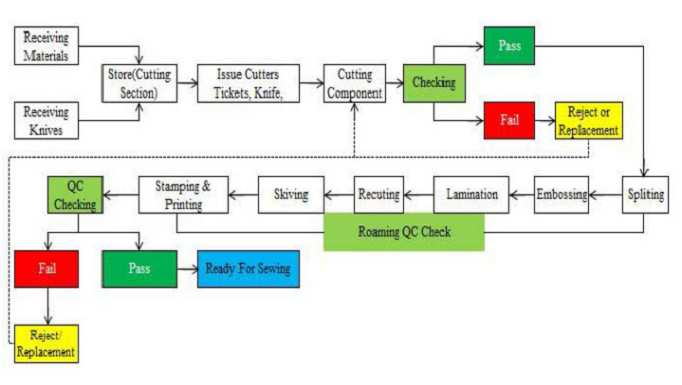 The Goal is to achieve effective utilization of your Gerber automatic cutting machine through the use of continuous improvement on the shop floor (Kaizen) by using industrial engineering techniques. Our approach is to first carry out Value Stream Mapping (VSM) to identify inefficiencies. There after, a detailed study on the value addition v/s non value addition in cutting room activities is done. 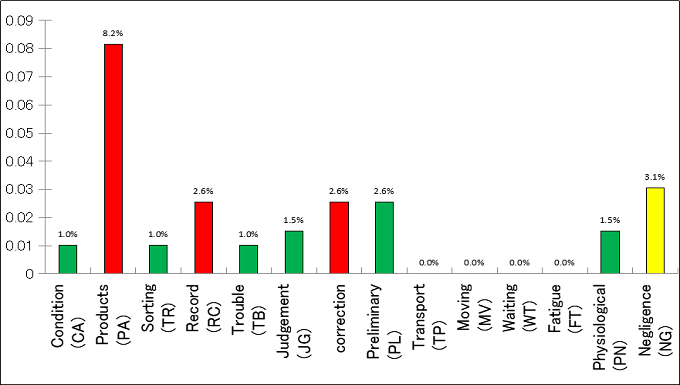 Post this analysis a standard process design is scheduled while engineers analyze your automatic cutter's utilization. Concept of Industrial Engineering is applied to measure how resources such as people, machines, facilities and equipment's are used by estimating proportion of time spend by a worker / machine in various activities & idle time. 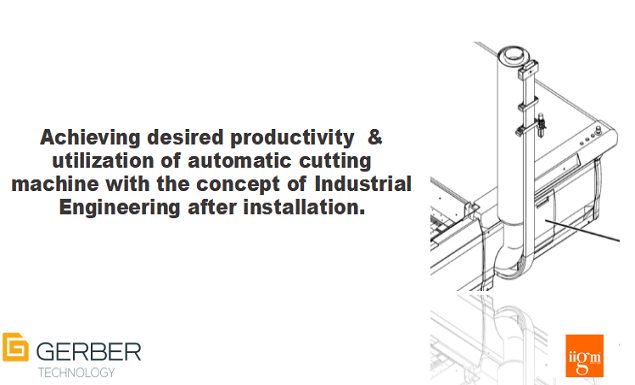 Re- Engineering becomes vital to re align the process flow in order to maximize the Auto Cutter utilization. Our methodology and expertise in re-engineering will ensure desired productivity by better utilization of Gerber Auto Cutter with better quality of cut provided reducing the cost and make your focus at the right spot.